How can I tell if ArtRage 4.5 is in 64 bit mode? 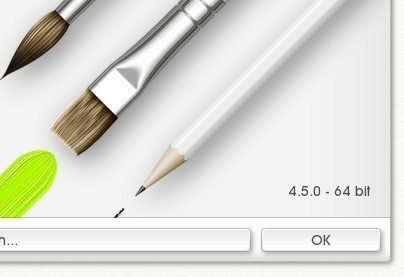 Home » How can I tell if ArtRage 4.5 is in 64 bit mode? How to I tell what version I am running and whether it is 64 bit? If you aren’t sure whether you are running ArtRage 4.5 in 32 bit or 64 bit mode, there are two easy ways to find out. 1. Look at the splash screen on start up. 2. Look at the ‘about’ pop up window. Go to Help > About ArtRage (Ctrl + 1) and look in the bottom right corner of the pop up window. This is also how to check the version number.